The year 2018 has been a big year for the Vaping industry in general, we have seen lots of innovation in both design and functionality. Particularly so in the regulated mod scene. But when it comes to quality, durability and power delivery, nothing beats the Full Mechs. We will cover the difference between Regulated and Full mech mods in a separate post as well as its advantages and disadvantages. Here is the list of the Top 10 Best Full Mech Mods in the Market Today. 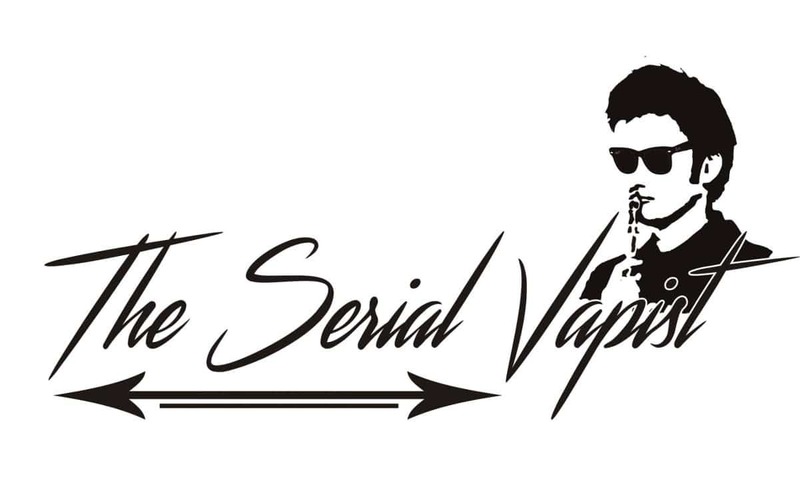 The list is based on the number of sales, positive feedback, build quality and overall performance of the mod from the data gathered thru our research and www.theserialvapist.com. The Kratos Elite made by Vape Mythology Works is the most compact mod on this list. Dual Parallel 18650 with a delrin body and brass plates for top and bottom, we loved the way this fits in our hands. If you need a stealthy and compact mod, this should be on your list. The UDG SSSP or Underground Single Batt, Series , Squonk and Parallel is probably the most versatile mod n this list. Configurable to four settings this mod has it all. Designed to cater to a broad customer base it does very well on every configuration, granted you have to buy the separate Parallel kit, but for the money and the versatility this mod offers, nothing can beat it. Made by MCM Philippines known for their innovative and quality designs and mods this is surely worth considering. The SOB OG Parallel or Smoked Out Box can be defined in one word “Durability”. This mod is built tough! Quality machining and materials this mod is a keeper. Power delivery is great, threading of the battery doors buttery smooth and that brass accents too! Made by SOB PH. One of the pillars here in the PH vaping industry. The Tahiti V2 with its unique shape may look odd, but there’s a reason for it. A solid copper rod running from the top of the mod to the bottom and serves as the firing button ensures a massive surge in power delivery at every pull. Unique styling represents wht Gatub Crafts is all about. Showcasing Filipino culture with its creations and incorporating traditional craftsmanship in every mod they release is their trademark. With handcrafted clay designs integrated in the button, this mod is next to impossible to clone. The Mustang is one of the staples in the Philippine vaping scene. The Mustang V4 when announced received massive pre orders which is one of the reasons why immediately upon release stocks are low already. The same quality body of aluminium and brass but with a pure silver plate in the head assembly creates this sensation of power in every push of the button. This special edition of the VapeBreed line of box mod is a rarity. Highly sought after both in the local and international market, stocks quickly ran out. Improvements from the stock VB Box includes all silver plated internals including battery cap and 510 deck and a triple blacked out body. If that specs didn’t catch you the sleek black look definitely will. The Battle Mastter V2. The predecessor to the original Battle Master, this mod introduced into the mainstream the Boxed Tube concept. With the inclusion of the XTAC extension tube it turns this little mod into a monster ready for battle at every Vaping Competition. A tamer single battery option at its default is very nice and delivers both power and stealthiness in your vaping experience, not to mention that killer deep engraving in the body. The Reactor SQNK by Masterpiece Custom Vapes Philippines, The first Squonk Mod by MCV is indeed a maserpiece. Solid built body and a masterfully designed mod, this is worthy to be called the Reactor. We can always expect quality from MCV with Joy Soriano as the Modmaster. This is definitely a collectors item. The Doomsday by Tower Mods Philippines can be defined as the everyday man’s mod of choice. Both durable and compact, this mod delivers all you need in a mod and more. Dual Parallel 18650 gives endurance so this mod can be used heavily for up to 15 hours. In terms of design and ergonomics, this mod gives you a very nice deeply engraved brass plate and a beautifully machined delrin body for optimum grip. The Kalasag V2 on top is no surprise. The versatility, quality and power delivery of this mod by BBBox Philippines is superb. Design wise, you will surely have a limited edition with every purchase as they change the way the body is engraved with every batch release. On top of it all this can be readily configured to a series mod out of the box with its included instruction manual and series conversion kit. Want more power? Get the Booster kit sold separately to convert this beast to a para-series quad 18650 monster. Mechanical Mods are the earliest for of Electronic Cigarette “Mods”. These mods came about due to the need for more powerful devices other than the early forms of E Cigarettes. Mechanical Mods are designed to deliver raw power from the batteries and doesn’t have any regulating chip or circuitry contributing to its durability and powerful vape experience. Having said that, Mechanical mods are not for those who are just starting out. Using these types of mods requires knowledge of Ohm’s law , coil building, battery handling and overall safety precautions that comes when using any type of vaping devices. A more appropriate starting point for newbie vapers would be the Regulated mod which has an extra layer of safety feature due to it having a control chip. Using a mechanical mod gives you the freedom to completely customize your vaping experience, you do this by building your own coil down to the resistance that you like and of course up to but not beyond what the battery can handle. Usually made of Delrin or Metals such as Aluminum, Brass, Copper , Silver. Some even have wood, stabilized wood, resin and hybrid wood and resin. This houses the batteries. Underneath the device, often in the form of a twist cap used to tighten the batteries and also serve as the negative contact part. Usually made of Copper, Brass, Silver or Silver Plated Copper. Spring loaded button that acts as a switch to complete the circuit. Can be placed on top, on the side even at the bottom of the mod. Built into the top part where the Atomizer sits, it is a threaded portion of the mod with a protruding pin designed to make contact with the pin on the bottom of your atomizer. A “Hybrid” or Hybrid 510 is a type of a threaded connection but with a noticeable absence of the protruding pin from the mod. This type of connection instead relies on the 510 pin on your atomizer to make direct contact to the positive part of your battery. Using a mod with a Hybrid connection reduces voltage drop but will require you to use an atomizer designed to be used for a hybrid. You will know if your atomizer is safe to use on a hybrid if you see a noticeable protrusion of the 510 pin. I cannot stress enough the importance to know first if your atomizer is compatible for use with a hybrid. Most Philippine Made RDA’s are compatible as it is a standard here to use a protruding 510 pin for all the atomizers. Although some brands are not so it is still helpful to do your research first if your atomizer is safe to use in a hybrid mech mod. This configuration uses two batteries in Parallel connection. Doubles the capacity of the mod for endurance with the same 4.2v output. Recommended for vapers starting out on Mech Mods. This configuration uses two batteries is Series connection. This Doubles the output 4.2 v+ 4.2v = 8.4v sacrificing endurance for raw power. This provides a dense powerful vape but requires a specialized build with higher resistance. Single Battery configuration is one of the most common configurations in mech mods. Usually found on mech tubes and single battery boxes it has the advantage of being compact and handy versus the usual box mod. For the most extreme of vapers out there, this configurations uses both the parallel and series configurations. Doubling both the Power Capacity and Power Delivery usually in a four battery stacked layout. Requires a lot of knowledge in building coils and Ohm’s Law. Are Mechanical Mods Right for you? The Mechanical Mod Vape Device requires an intermediate to high level of knowledge in vaping and is not intended for beginners. Beginners should start of using Regulated mods first and learn every safety precautions from there before moving on to Mechanical Mods. What Mechanical mods represent is a next level step up from the Regulated Devices. This is for those who cannot seem to find satisfaction vaping on Regulated mods and wants something else. Mechanical Mods requires you to learn all the safety precautions by heart but it will reward you with a very satisfying vaping experience. For the informed user, the answer is YES! Keep in mind that Mechanical Mods require extra attention from the user in terms of maintenance. These mods lasts a lifetime but they will require cleaning and proper inspection once in a while to keep them performing at their best. Yes, improper use of these devices may lead to battery failing and eventually venting. All devices that has a battery has a potential to explode including your smartphone or even a regulated vaping device. What causes them to explode? The most common culprit is the improper handling of the batteries. All batteries that goes into your device whether its a regulated mod or a mechanical mod needs to be inspected for tears or leakage. Second is a bad coil build and an incomplete knowledge of Ohms law. If you are uncomfortable building your own coils, have somebody with experience build them for you and don’t forget to measure the coils resistance using an ohm meter. How can you prevent your mod from exploding? Always inspect your mod and your batteries regularly. For the Mechanical Mod, make sure to always clean the contact points, the body and the internals with proper cleaning tools. For the Battery check for tears in the battery body and terminals, have them re wrapped if you see any damage. Never build your coils beyond your batteries specific capacity. Check the specific rating for your battery and build your coils with the resistance that’s appropriate for its rating. How do I clean my Mechanical Mod? Cleaning and maintaining your mod is essential for safe operation and an enjoyable vaping experience. Clean the contact points and the internals thoroughly, these can be done with a simple dish washing soap and water, be mindful not to use acidic cleaning agents with silver plated internals. Let every thing dry before re assembling. For Brass, Copper and Stainless Steel parts, use a soft cloth and metal polish to bring back that shine. For Wood or Stabilized wood, refer to the modder as to how to properly clean them as normal cleaning methods may degrade the wood over time. Do Mechanical Mods hit harder than Regulated Mods? It can be said that Yes they do, due to very minimal voltage drop from your battery to your atomizer to your coil as Mechanical Mods do not rely on chips and other circuitry. Also the contacts in a mechanical mod typically is more well built and is made from solid copper, brass or even silver. This maybe subjective as other people might not feel the difference. How Durable are the Mechanical Mods? If I have to pick one advantage of the Mechanical Mod over the Regulated Mods it is their Durability. These devices lasts very long as they do not rely on any electronic chip that can give out at any moment. But as always proper maintenance is key. Can I use a Tank with my Mechanical Mod? Yes, just keep in mind that when using a Hybrid Mechanical Mod, your tank has to have a protruding 510 pin. How to Safely Use a Mechanical Mod? Always do proper inspection of all the components before using any Mechanical Mod. Always check the contacts of the mod, the insulation both in the mod if it has it and in the atomizer. Pay special attention to the batteries. Inspect the body for any tears and leaks, the terminals for any damage, know the rating of your battery and build accordingly never exceeding its maximum capacity and you will enjoy vaping any mechanical mod safely. This entry was posted in Vaping Lifestyle. Bookmark the permalink.